Sebastián Lelio’s update of his 2013 film, Gloria, doesn’t change much from the original, but Julianne Moore’s pitch-perfect work is reason enough to watch. The heroine of Umberto Tozzi’s song “Gloria,” according to the Laura Branigan cover that rocked U.S. charts in 1982, is a woman in search of something that might not exist anymore. “I think you’ve got to slow down / Before you start to blow it / I think you’re headed for a breakdown / So be careful not to show it,” Branigan sings on the upbeat disco track. Her take was a total reworking of Tozzi’s original, more conventional love ballad. And while the Chilean director Sebastián Lelio used the Tozzi song as the main character’s theme for his 2013 film, Gloria, the movie had the spirit of Branigan’s version: an alternately melancholic and hopeful look at a 50-something divorced woman’s efforts to reenter the dating scene. Now, perhaps fittingly, Gloria is getting its own American update. The version currently in theaters, also directed by Lelio, is titled Gloria Bell, and Julianne Moore (who reportedly developed the idea of a remake with Lelio) takes on the lead role first performed by Paulina García. But where the U.S. cover of Tozzi’s song changed its meaning in surprising ways, this cinematic update is a pretty loving copy of Lelio’s 2013 film. If you’ve seen the original, the similarities might be too much to take. But if you never caught Gloria, Gloria Bell stands by itself nicely—a totally captivating yarn that gives Moore center stage to do the kind of rich, arresting work that actresses in their 50s can rarely find in Hollywood. 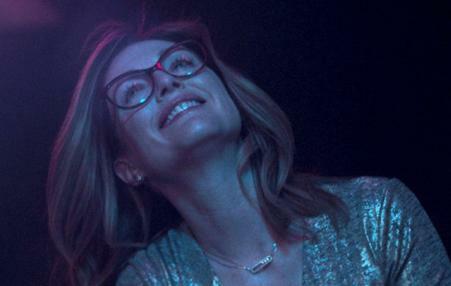 Gloria Bell has a freer, slightly darker spirit than the cinéma du Meyers. The world Gloria dives into is exciting, but laden with its own complications. Rather than offering Gloria an escape from the stresses of her family, dating brings into her life new people for her to be anxious about. She quickly falls for Arnold (John Turturro), the recently divorced operator of a paintball compound—a sometimes lothario with his own pile of neuroses and family issues. Turturro does excellent work conveying what an elegant charmer Arnold can be, before some unpredictable trigger suddenly turns him cold and distant. The central drama in Gloria Bell isn’t Arnold’s strange behavior, nor is it the various problems besieging Gloria’s kids (Peter is dealing with a new baby, while Anne is getting ready to move to a new city). It’s the question of what kind of life Gloria deserves versus what she can find. Arnold is clearly far from perfect, but Gloria is wrestling with whether this oft-cruel world holds anyone better for her. In this role, Moore is ideally cast; she’s luminous, occasionally a little out of touch, and sometimes outright furious at the hand she’s been dealt. As her prospective partner, Turturro is a scream, keeping his energy bottled up until it spills out in some unexpected direction. Lelio won an Oscar for the 2017 drama A Fantastic Woman; his last film, and his English-language debut, was the religious forbidden-love drama Disobedience, a story that was simply too dour to build up much narrative momentum. Gloria Bell, however, is dynamic even when its lead is despondent; it’s a buzzy, engaging work that’s powered along by Moore (who’s onscreen for just about every second of its 102-minute running time). Given its similarity to the original, Gloria Bell could have just been a curiosity—but the hilarious performances by Moore, Cera, and Turturro make Lelio’s return to his own material more than worth it.